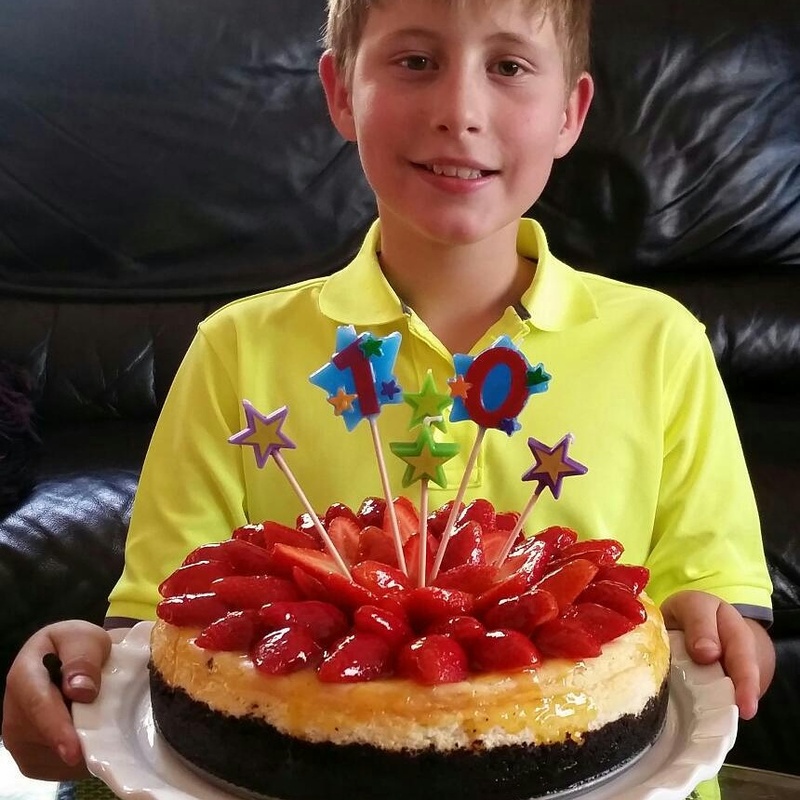 For the past few years my youngest son chose a particular recipe strawberry and white chocolate cheesecake as his signature birthday cake. I believe I found the recipe for the cake in “Bon Appetit”, a few years back and have tweaked the recipe just a little bit to satisfy our own tastes. 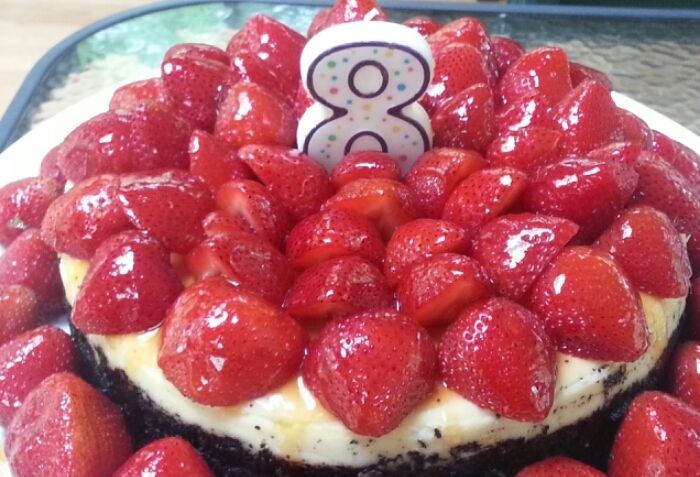 This cheesecake is a hit at a party everytime, its very easy to make and tastes heavenly :- light, airy and oh so delicious. Position rack in a middle of the oven. Preheat the oven to 325 F.
Butter a 10″ springform pan. Wrap the outside of the pan with alluminum foil tightly. Grind the wafers finely in the food processor and add butter to moisten. Press the mixture into the pan to cover the bottom and about two inches up the sides. Bake crust for about 10-15 minutes till it sets. Cool the crust and maintain oven temperature. 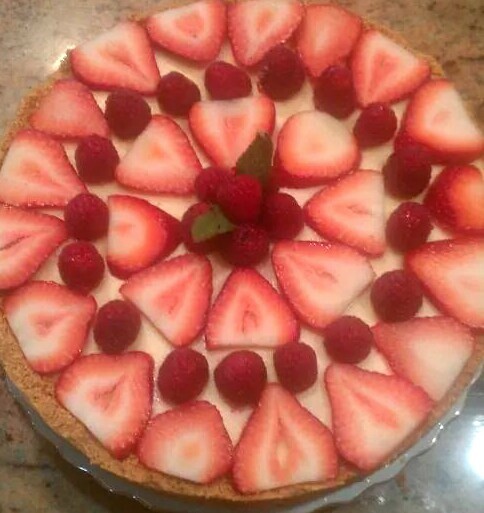 With an elextric mixer, beat cream cheese untill fluffy. Slowly add sugar and salt and beat untill smooth. Add white chocolate in a slow stream; beat untill well blended. Run small knife between pan sides and cake Release pan sides. 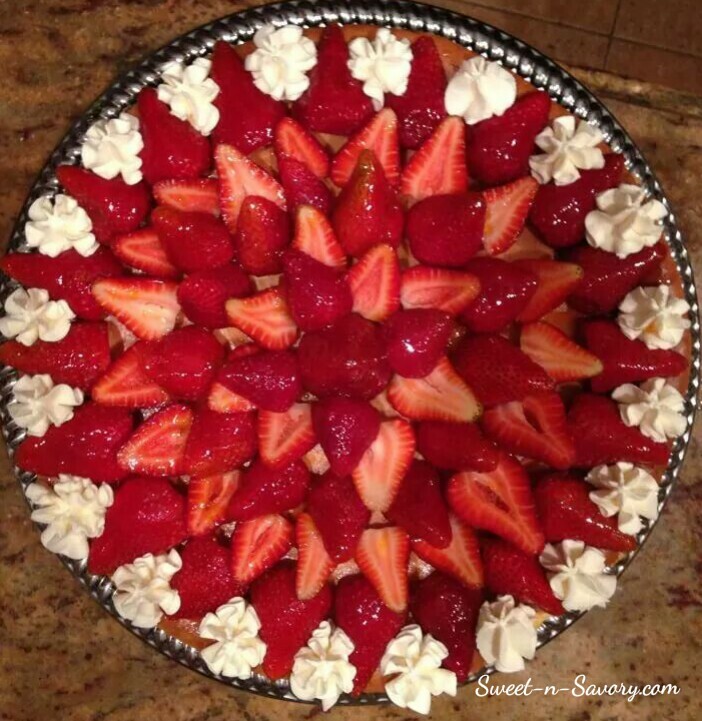 Decorate thhe cake with strawberries. Stir apricot preserves with brandy in a saucepan over medium heat. Strain preserves. And brush the berries with the apricot glaze, letting the mixture drip onto the cake between the berries.